They're the magic beads that join with a spray of water. A whole new world that you can make one bead at a time. Just choose a template and make up your design. Spray it with water and wow - you've created Beados. 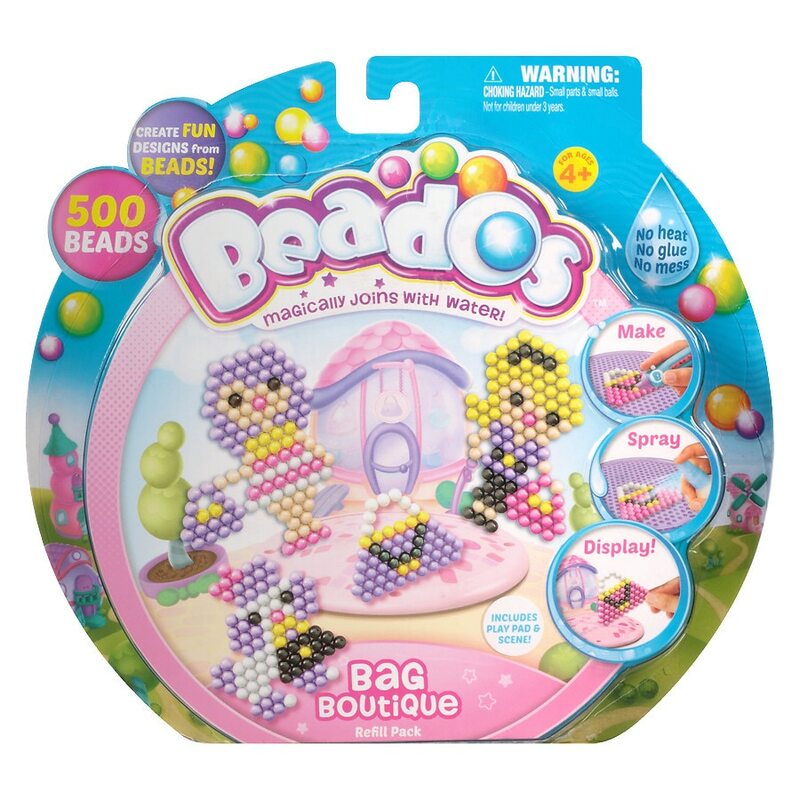 Contents: 500 beads, 1 small play pad, 1 dual scene card, 6 design templates, 1 bridge, 2 display stands, 3 suction cups and instructions. © 2015 Moose Enterprise Pty Ltd.
Not suitable for children under 3 years. Choking hazard: In case of unforeseen use, especially of small parts and small balls, giving rise to harm, do not place Beados in mouth. As the beads contain a bitter taste, it is advised to wash hands after use. Contents and colors may vary. Important: Please retain the packaging and instruction sheet. They contain valuable product information. Do not discard. Adult supervision should be encouraged for young children. Do not eat.